Can you confirm these amateur observations of Cnemaspis africana? 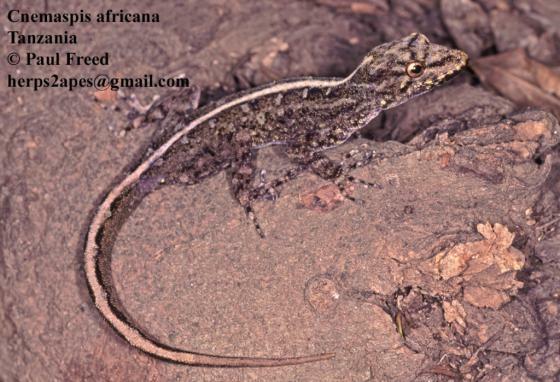 Type locality: Usambara Mountains, Tanzania. Comment Not listed in LeBreton 1999 as such, who lists only Cnemaspis africanus koehleri as a synonym of Cnemaspis koehleri. Cnemaspis africana elgonensis LOVERIDGE 1935 is now considered as a valid species. Etymology Named after its African origin.